There are many advantages to getting older such as getting to spend more time with loved ones to slowing down and pursuing your personal interests and hobbies; however, aging can trigger a variety of changes in the body that may negatively affect your health. While many of these changes are not preventable, keeping a close watch on your health can help you catch—and manage—potential problems. To help enhance your senior care, here are five aspects of health to monitor as you age. It’s estimated that more than half of Americans over the age of 60 have high blood pressure. While there are many possible causes of high blood pressure, it’s common among this group due to the changes that arteries experience with age. 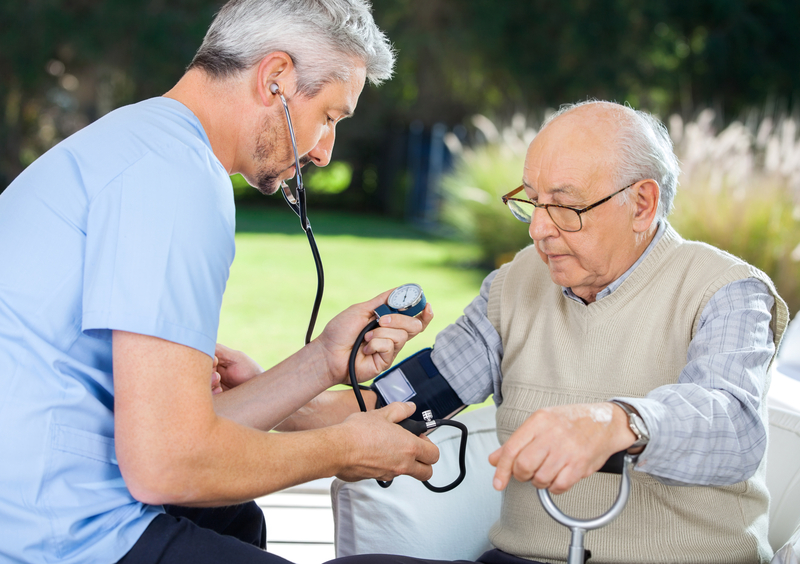 Since high blood pressure can indicate heart disease and poor cardiovascular health, it’s important for older individuals to monitor their levels regularly. If they appear elevated, talk to a doctor about medications that can help lower blood pressure levels. Limited sight, as well as cataracts and glaucoma, are more common among older individuals. Given these many risks, regular eye exams are an important part of senior care. If you notice changes in your vision, talk to a specialist about how prescription lenses, surgery, or medication may help. As adults grow older, they can only expect their cholesterol levels to increase, putting them at greater risk of heart attack and stroke. To manage this danger, older individuals should work with a health care provider to develop a healthy diet and exercise plan. If needed, cholesterol-lowering medications may also be prescribed. Forgetfulness can be a sign of dementia—a class of conditions that are associated with impaired memory and cognitive decline. While there is no cure for these conditions, early detection can help individuals take action to prevent further cognitive decline. Arthritis—or joint inflammation—is a common senior care issue due to decreases in collagen. At the same time, many older adults also experience a reduced bone density, known as osteoporosis. Each of these conditions can cause chronic pain, as well as increase the risk of fall accidents. For this reason, seniors should undergo regular bone density testing, and talk to their doctors about ways they can improve skeletal health through diet and exercise. If you or a loved one needs extra support to manage these or other chronic conditions, turn to Abbington Assisted Living. Abbington offers comprehensive senior care in a compassionate, comfortable, and cost-effective manner. Abbington has five central Ohio locations – please visit us online at www.AbbingtonOnline.com.